Finding a great job in today’s market can turn into a full-time position in itself, but you don’t have to dedicate 40+ hours per week to your search in order to be successful. The adage “work smarter, not harder” applies to a job search as well. 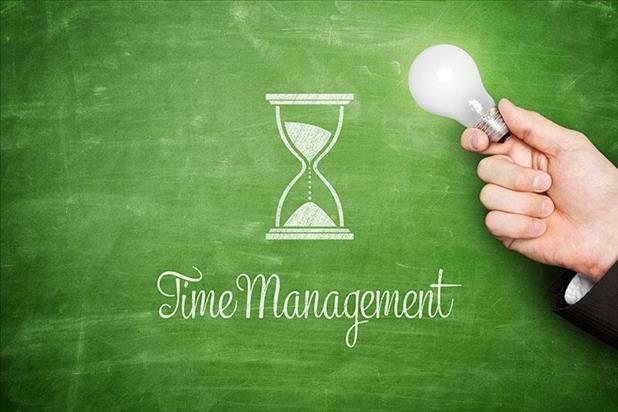 A key to working smarter is effective time management, whether you are unemployed with ample time on your hands or currently employed and need to be more strategic with your free hours. Before beginning your job search, make sure your resume and references are up to date and have cover and thank you letter templates on hand to customize per application. Brush up on your interviewing skills, update your social media profiles, and create accounts on major employment sites as well as niche boards. Be ready for all opportunities that come your way. Once your tools are in place, get a calendar to use specifically for your job search. Set a realistic date for landing your next position and use it as a basis for planning your overall strategy. Give yourself quantifiable goals (10 applications per day, 5 follow-up calls per week, 3 networking events per month, etc.) and prioritize your tasks appropriately. Have several interviews on Monday but zero on Tuesday? Plan to spend Tuesday applying to new positions, following up on applications, or researching upcoming events. Use your time wisely. Remember: don’t search for jobs exclusively online. Get out from behind the computer screen to take advantage of valuable in-person networking opportunities or to simply get some fresh air and reenergize. Don’t forget to reward yourself with free time to relax or participate in non-job search activities you enjoy. It can be particularly challenging to find time to search for a new job if you are already committing 8+ hours per day to your current position. With this in mind, you must optimize the non-work hours you have available. Get up early and knock out a few tasks before heading into work to get the ball rolling. Utilize your lunch hour to apply to jobs, follow up with employers, return emails and phone calls, research networking events, etc. Schedule interviews for before or after your work shift or during your lunch hour. Attend networking events during the evenings or weekends. Keep multiple copies of your application portfolio (resume, cover letter, references, letters of recommendation, work samples, etc.) with you at all times – in your briefcase, car, or other discreet place. Be smart: don’t use your company e-mail address or phone number to conduct a job search! Unemployed job seekers have more time to search, but it’s easy to fall into an unproductive rut without a routine or daily commitments. Treat your day is if it were a regular workday with assignments and deadlines. Get up early, get dressed, and go to your “office” at home. Make an agenda for each day with specific tasks to complete. Plan each day ahead of time. Write a checklist, stick to it, and cross things off. This will give you a sense of accomplishment and help you avoid procrastination. Determine which hours of the day are your most productive and save challenging tasks for those timeframes. Join networking groups or work with a career coach for extra support. Without a plan and good time management skills, finding a job can be a daunting and high-stress endeavor. It’s easy for job seekers to end up wasting valuable time spinning their wheels or give up entirely if the path forward is not clear. By creating a plan and sticking to it, you’ll have a much better chance of reaching your goals, maintaining your sanity, and staying positive and productive.